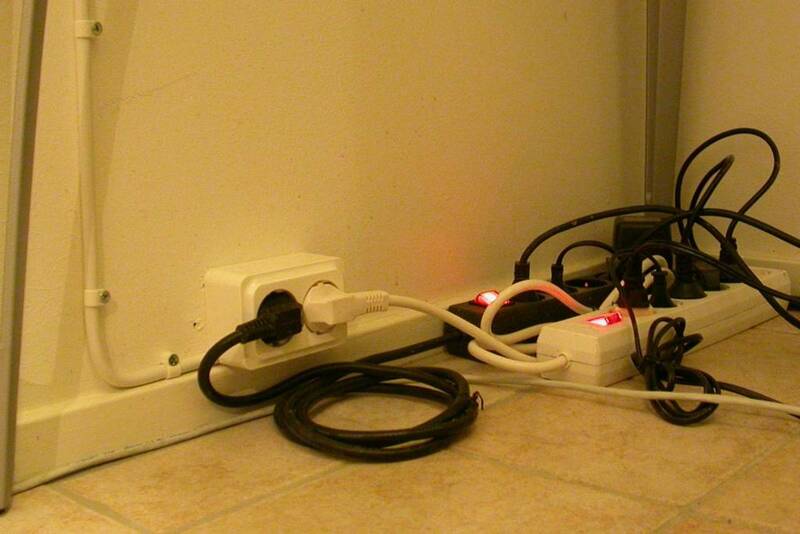 I finally installed an electrical outlet in the walk-in closet that I'm using as my study. I have several computers and other electronic devices in there, so I need power. But there was no outlet in there because the room was intended to be used as a closet. Prior to installing the outlet, I had a long extension cord running from the kitchen. I think this is an improvement!